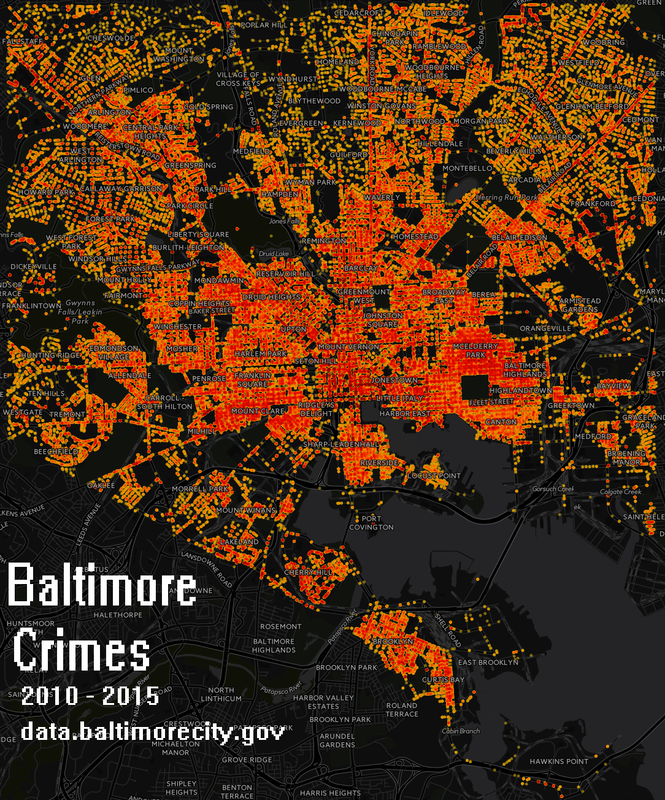 Crime in Baltimore USA from 2010 through 2015. Below I’ve created a static map of all crimes, and a geo temporal torque map video. This entry was posted in DataViz on 12/03/2015 by MantasCode.